This is rescue Lucky, she is looking for her forever home! 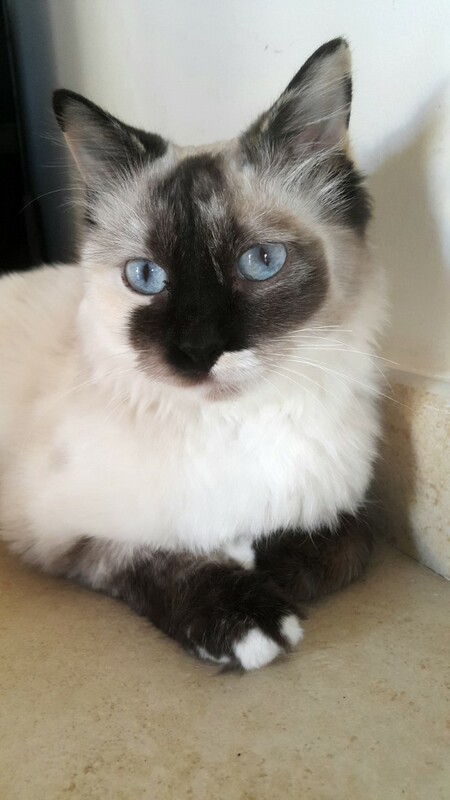 Siamese Mix, semi fluffy. Unique fur pattern. Medium active. Low maintenance. Perfect for single person or couple. Very affectionate towards humans but preferably the only cat in the house and no small children. Fully healthy, spayed and vaccinated at Animal specialist clinic where she has a record.